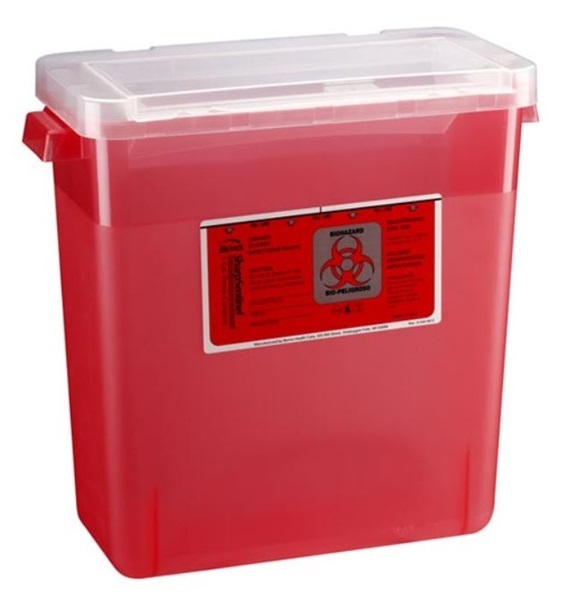 Translucent red 3 gallon phlebotomy sharps container that measures 13.5" high, 13.875" wide, and 6.875" deep. 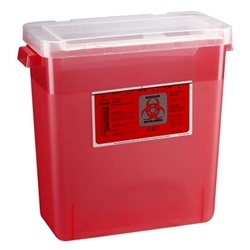 Plastic container is nestable with a locking, vertical entry lid. Manufactured by Bemis Healthcare.